A fresh coat of paint can transform a facility or building and it is one of the most cost-effective projects you can undertake. However, paints can do so much more than just improve your building’s appearance. 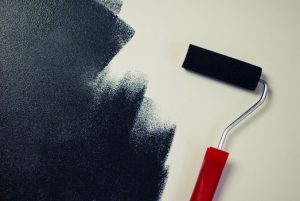 Check out the latest paint solutions that can keep your building occupants safe, improve air quality and make better use of the functionality or space at your site.  A growing category of paints – ‘safety paints’ or photoluminescent paints – glow in the dark and can direct occupants to your facility’s exits when the electricity is out. Photoluminescent paints absorb energy from a light source, and when the lights are out, release energy in the form of a glow-in-the-dark coating. Many major cities throughout the world are considering legislation that would make photoluminescent markings mandatory in stairwells for emergencies. Another new product is anti-slip floor coatings. These paints provide texture and help prevent slips and falls. Some work when the floor is wet, making them useful in areas like change rooms. Paints are also increasingly being used as a wayfinding tool to improve the experience of occupants and visitors. Specific colours can serve as a guide to different locations throughout your facility. Green, or environmentally friendly paints, are those that contain either no or low amounts of volatile organic compounds (VOC). While no single definition exists, 50 grams per litre of VOCs is a benchmark used by some third party certification organisations. 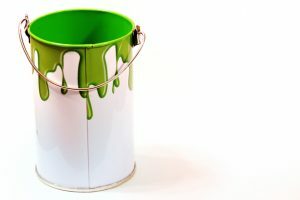 Today’s green paints tend to last about as long as other paints and they are a similar price to comparable non-green paints and coatings. Much improved since green paints were first developed in the 1990s, paint manufacturers have developed new polymers which are more durable, easier to work with and make the paint easier to apply. Using environmentally friendly, water-based paints can help you achieve environmental certification and, because they don’t emit a noticeable odour like regular paints, they are increasingly popular for facilities that are painted while they’re occupied. 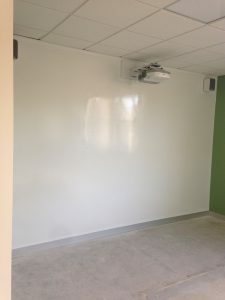 Whiteboard paint, projector paint and magnetic paint can transform unused spaces at your facility into functional working or learning canvases. Whiteboard paint can turn any smooth or non-porous surface into a dry erase board. Once the paint has dried, occupants can write on it using standard dry erase markers, then wipe off what they’ve written using a soft cloth.  Projector paint allows you to create a projection surface on any smooth wall. A cost-effective alternative to projector screens, projector paint, is always on and ready to use. Magnetic Paint is a high-performance paint which creates a magnetic surface in mid-grey. You can topcoat in any paint colour of your choice for a magnetic surface in any colour. You can also topcoat with our whiteboard paint to get a magnetic and whiteboard surface. It is important to consider what daily conditions your paint will be exposed to. Harsher environments, such as those subject to extremes, severe changes in temperature or high levels of humidity, require more durable paints and coatings. It’s hard to go past Dulux Weathershield and its tough finish which provides protection from all Australian weather conditions. When selecting paint finishes and wall paint for high traffic areas such as stair cases, corridors and communal areas, be sure to choose washable, scuff proof and durable products that will stand up to wear and tear. A hard-wearing, water based gloss, such as Dulux Aqua Enamel is highly recommended as a long-life finish suitable for all interior and exterior surfaces. 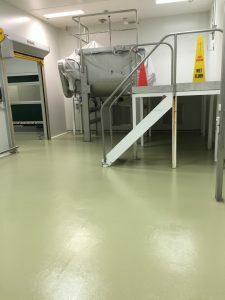 Epoxy floor coatings can provide a hard wearing, yet aesthetically pleasing, surface that is ideal for concrete surfaces, food preparation facilities, pharmaceutical manufacturing plants as well as factory and industrial floors. 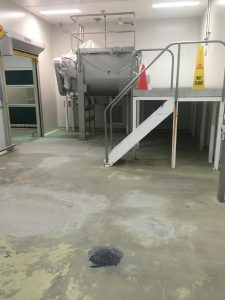 A two-part liquid resin that cures to be a hard, smooth plastic film when spread onto floors, Epoxy provides a surface that is resistant to moisture, chemicals, and wear and tear. Recent advancements in paints and coating technology are now helping you improve indoor air quality, eliminate odours, reduce repaints and deliver beautiful, functional spaces. The Danihers team has decades of experience providing exterior and interior painting and coating services for a range of industries – contact our customer service team on 1300 559 409 for more information! Is your roof safe and secure?